Sir Ben Ainslie’s sailing team Land Rover BAR has announced that it will make the switch from multihulls to monohulls next year by joining Langley Holdings’ Gladiator TP52 in the 52 Super Series 2018. This marks the first stage of the team’s preparation for the 36th America’s Cup, which will take place on monohulls in 2021, as per the protocol laid out last month by the Defender Emirates Team New Zealand. Speaking about the decision to join the 52 Super Series and Gladiator TP52 specifically, Ainslie said: “We are delighted to be working with Tony Langley, he is one of the biggest supporters of British sailing and this will give us a unique opportunity to return to the subtleties of monohull sailing at an extremely high level. “This allows not just our sailing team, but also our design and performance teams to start developing our tools and methodology as we begin our 36th America’s Cup campaign,” he added. The design rule for Auckland 2021 will be announced on March 31, 2018, and Land Rover BAR will have significant monohull experience under its belt by then as the 52 Super Series gets underway in Key West, Florida in January 2018. 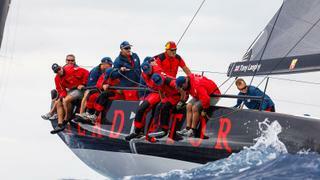 The British team is not alone in seeing the 52 Super Series as an ideal precursor to the 2021 America’s Cup, as three-time champion Quantum Racing announced earlier this month that it will form part of the Bella Mente Quantum Racing Association, which will represent the New York Yacht Club in Auckland.